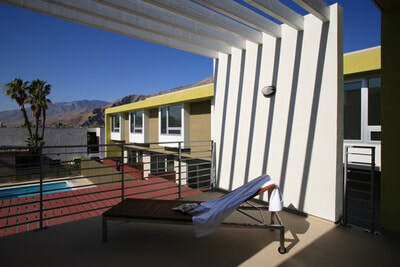 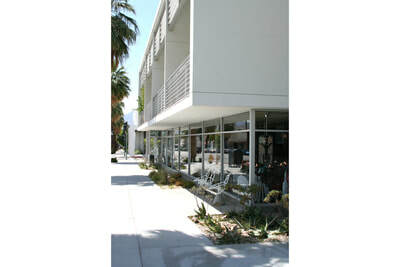 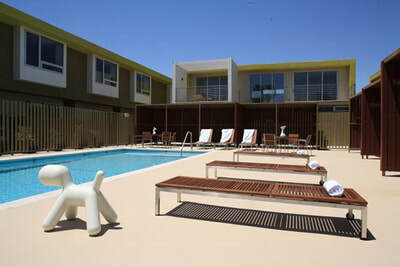 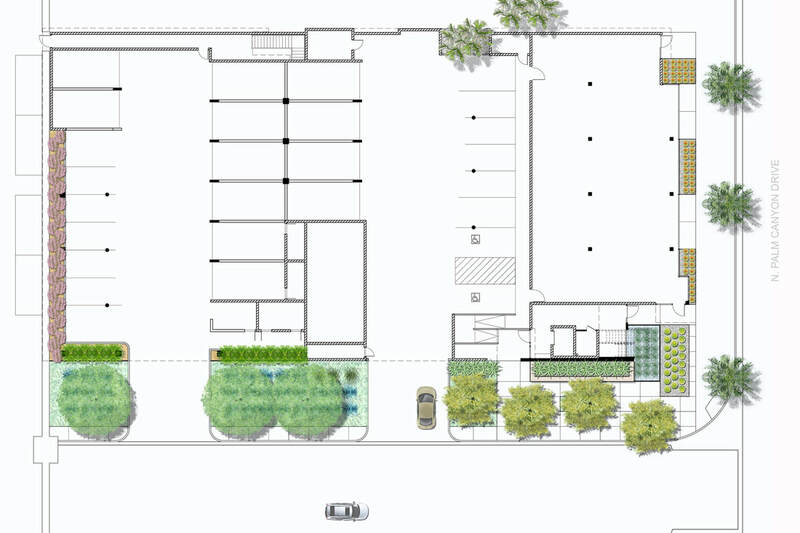 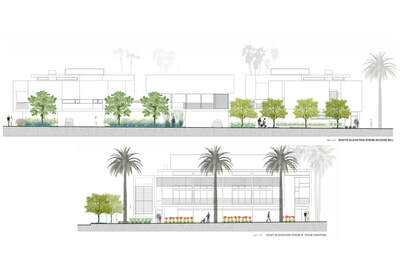 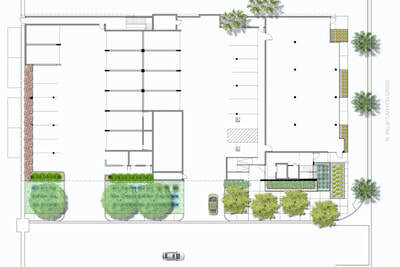 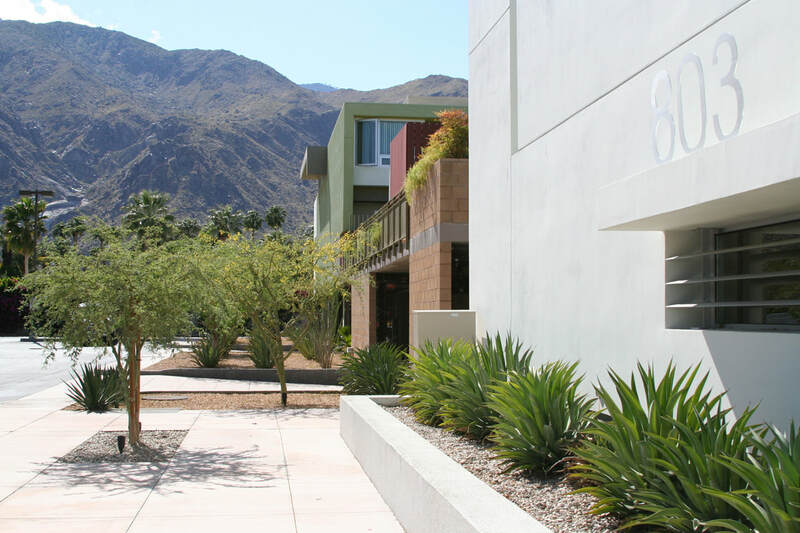 Situated on a main thoroughfare in Palm Springs, this infill development takes an empty lot and proposes a mixed-use building with commercial spaces on the ground floor and residential units on the second floor. 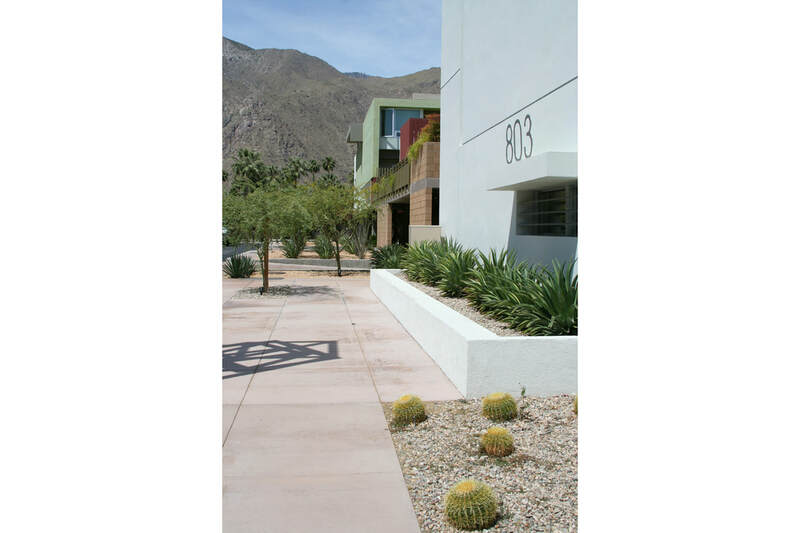 The landscape design presents an elegantly simple scheme that is both complimentary to the contemporary architecture and also sensitive to the desert ecology. 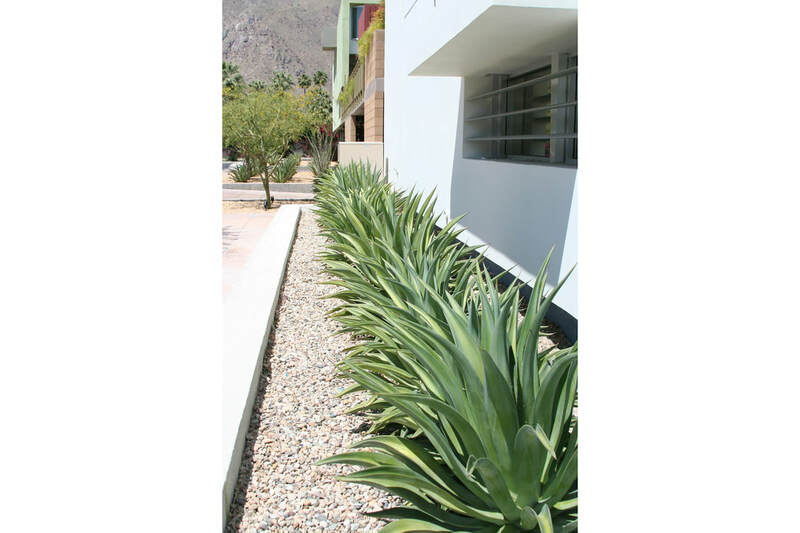 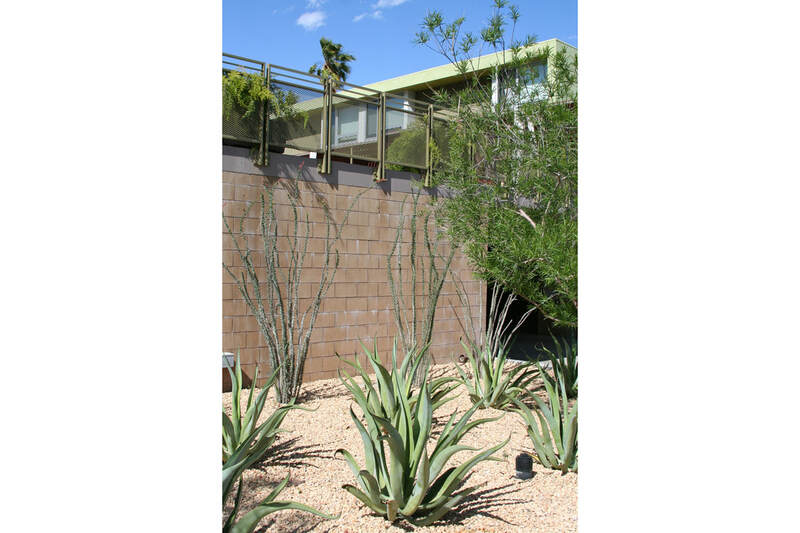 Drought-tolerant plants that thrive in the harsh desert environment are used throughout, thus reducing the need for irrigation. 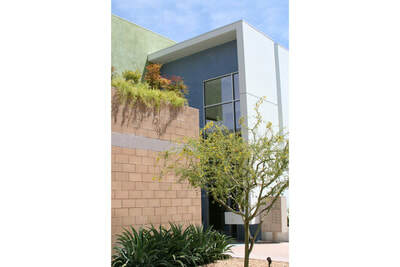 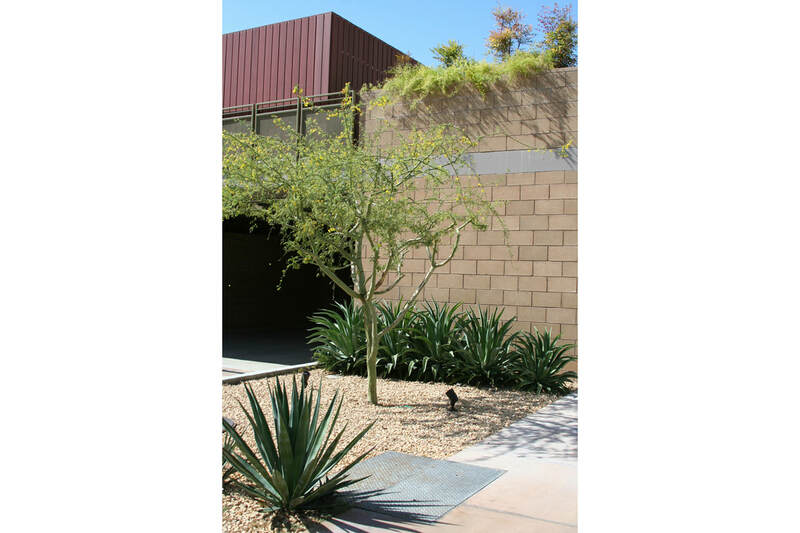 On the southern side, palo verde and desert willow trees are used to shade the building while also offering seasonal color. 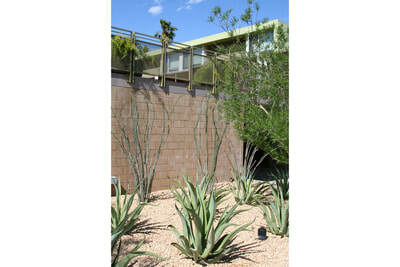 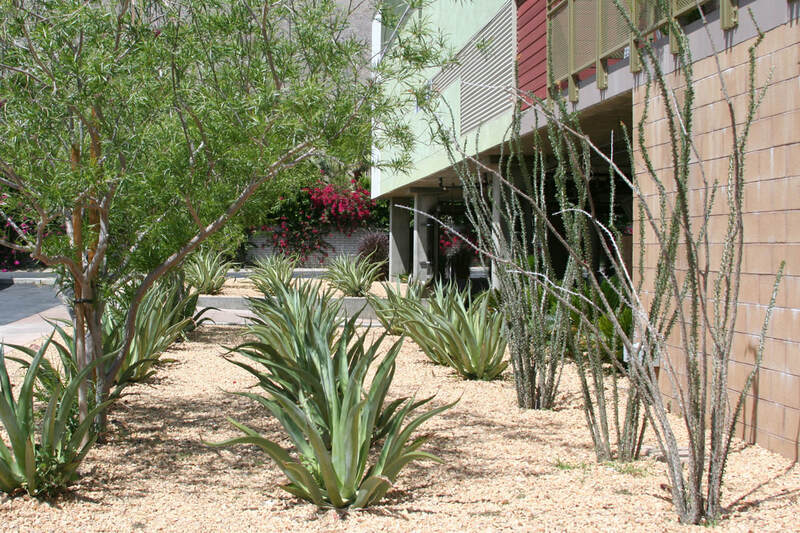 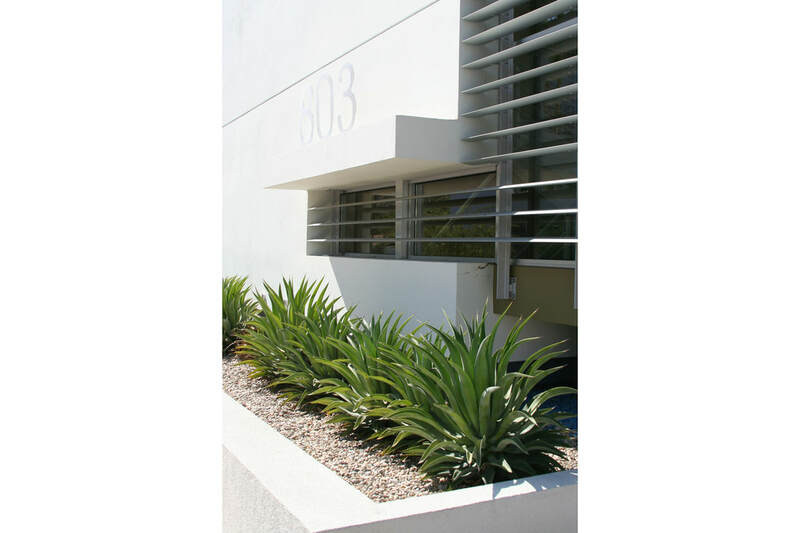 Sculptural plantings of agaves, aloe and ocotillo rise from a ground plane of green myoporum and blue senecio mandraliscae, lawn-alternative groundcovers that don’t require much water. 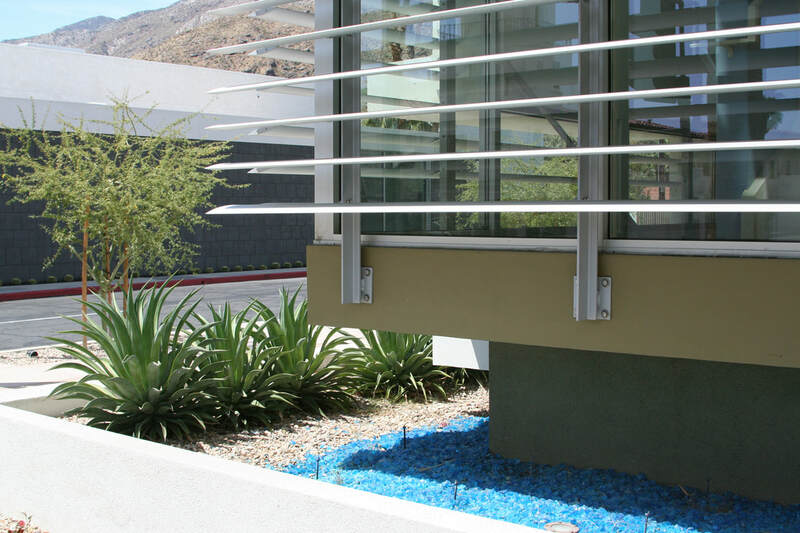 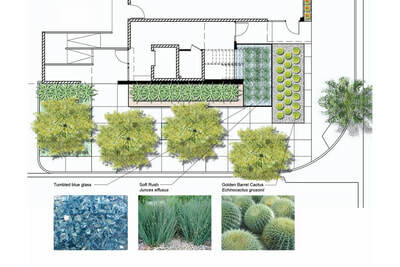 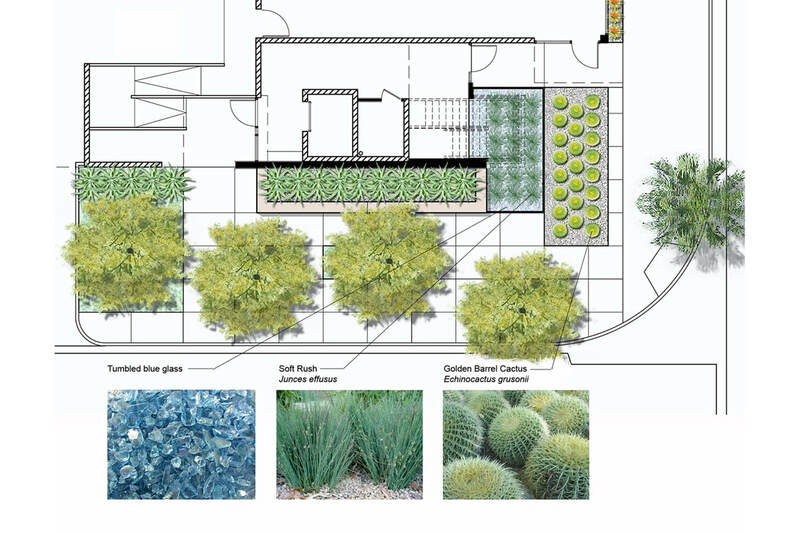 On the eastern side, a field of barrel cacti distinctively marks the entrance to the complex, where reed-like native rushes grow in a “pool” of blue recycled glass that gives the impression of soothing water.